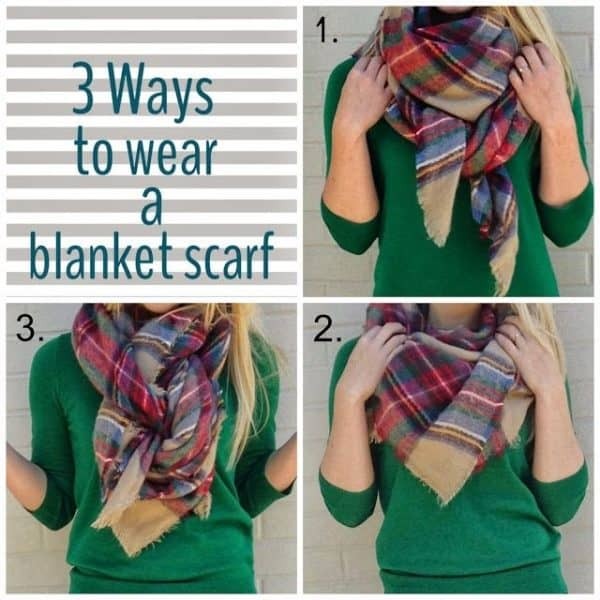 Cold winter days are only days apart of us, and it is already time to finish the last preparations to welcome them in style. 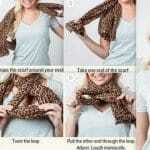 One of the accessories that every woman wears during cold days is the scarf. 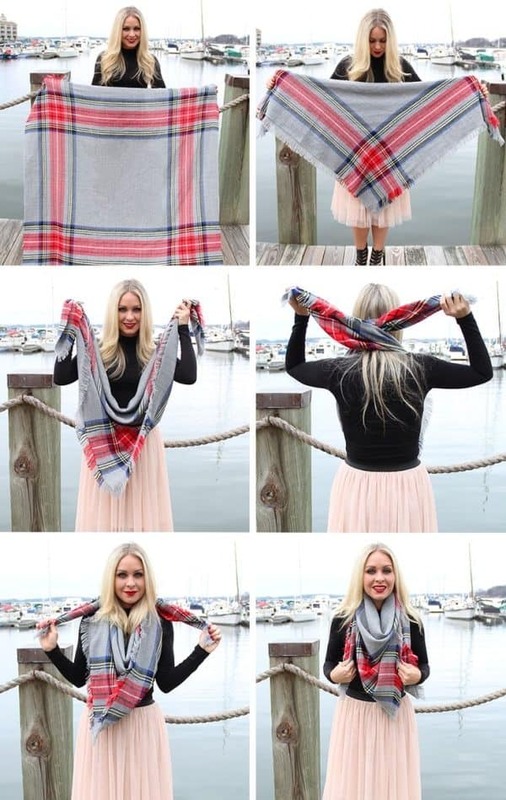 It is not only making her fell warm and comfortable, during the coldness outside, but at the same time is expressing the good and sophisticated taste of the woman wearing it. 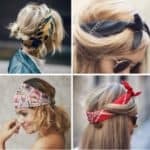 If you wear scarf, but you wear it at the simple way, without making any effort to style it on some creative an modern way, let us show you some inspiring ways to tie your scarf to create a styled masterpiece you will immediately fall in love with. 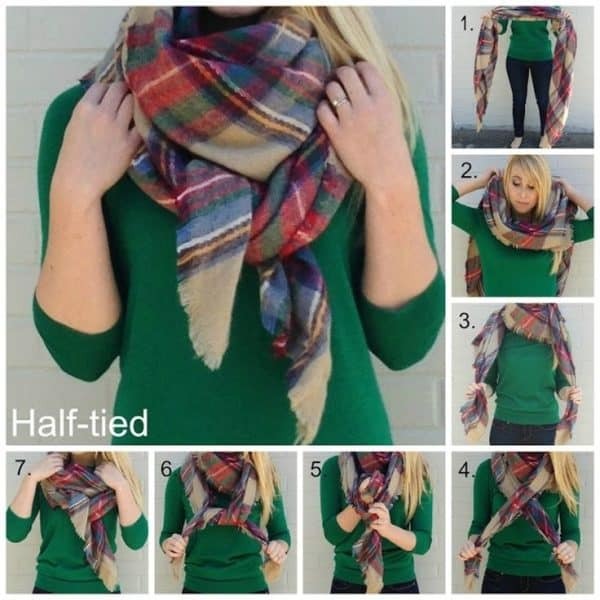 Wearing a scarf mustn’t be boring, but contrary, a creative way to express your style and personality. 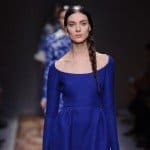 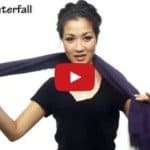 So, if you want to wear your scarf in some interesting and fashion way, different from the classic one, we all wear it, then scroll down the page and in the tutorials bellow find out your favorite fashionable way to tie your scarf. 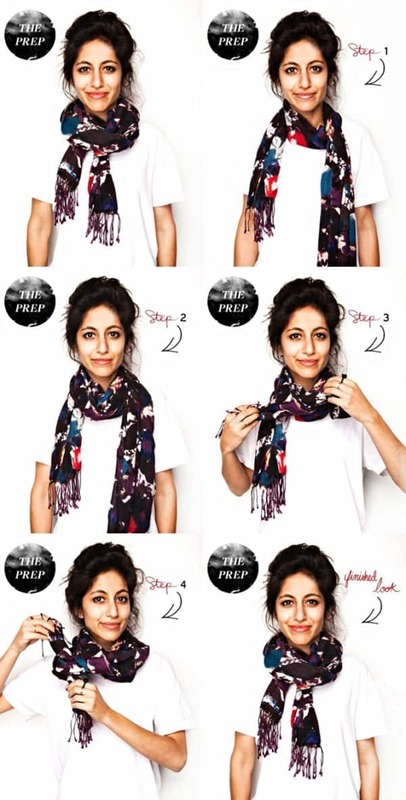 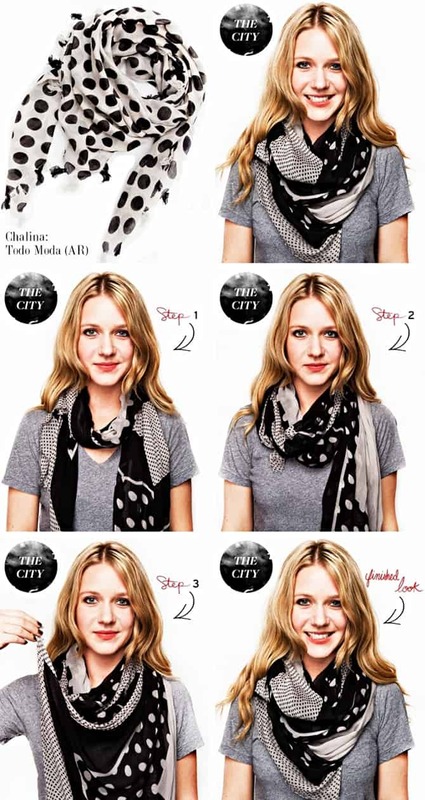 Create a trendy outfit by following any of these romantic and chic how to tie a scarf tutorials. 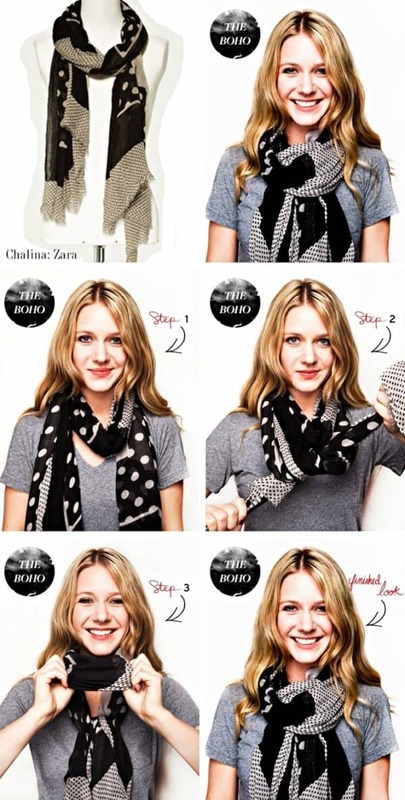 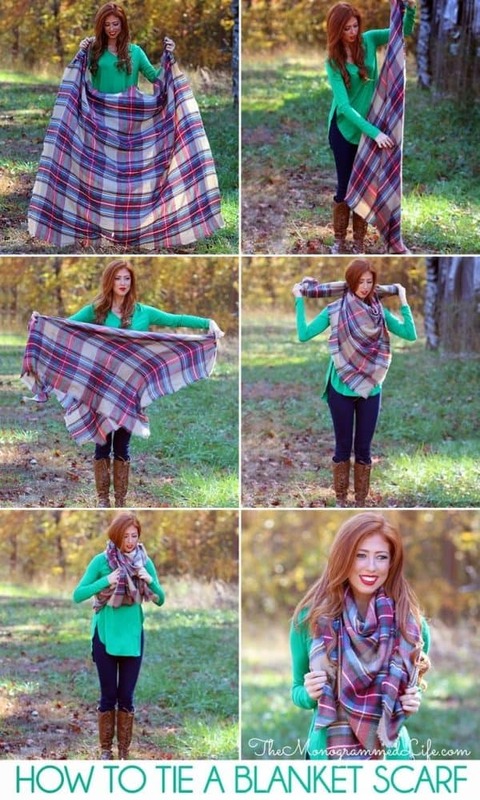 One scarf can give you many different ways to wear it. 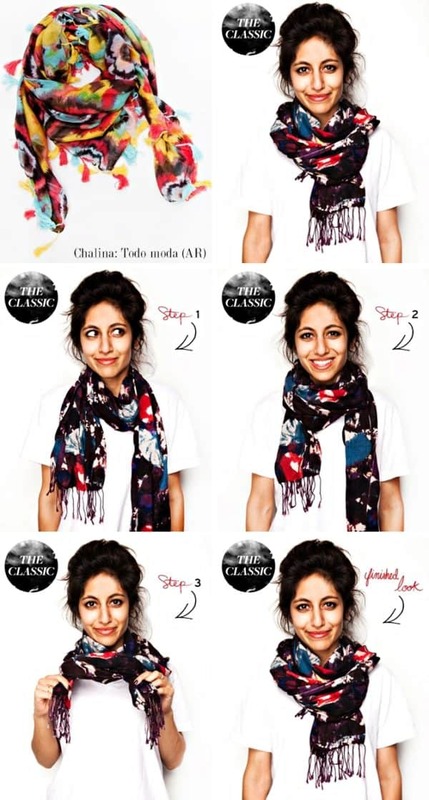 Use them, your creativity and the inspiring ideas bellow to tie your scarf the best way possible.